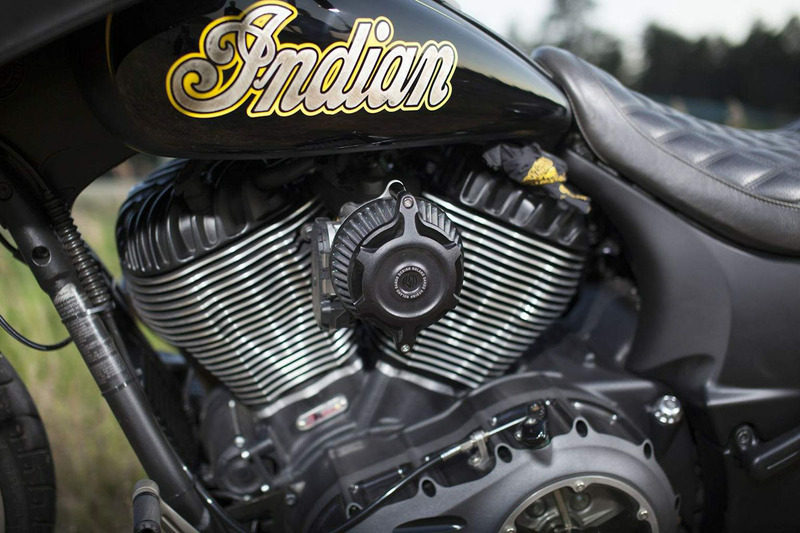 Roland Sands is known for not having too much resentment when it comes to chopping and hacking at the new Indians. He will tear one down to every nut and bolt, cut the frame then weld it together in a new way and technically build a completely new machine. 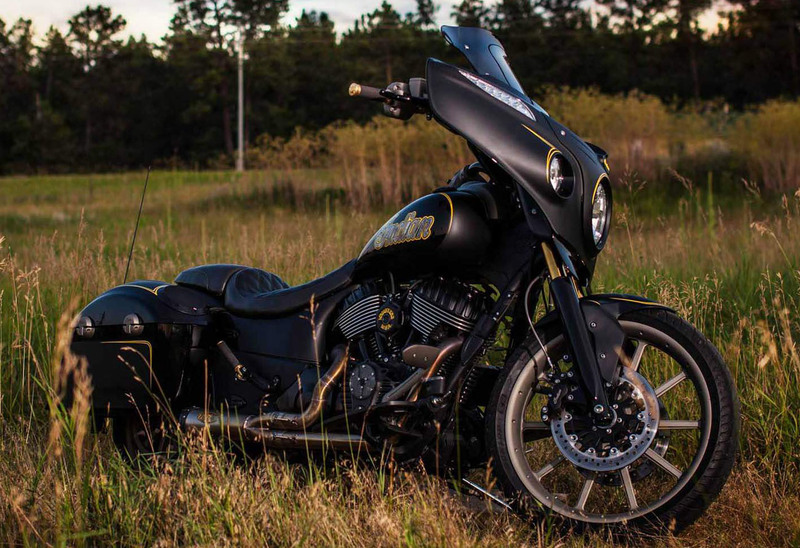 Customer Justyn Amstutz asked Roland to deliver a bike that takes a bold step off the trodden Chieftain path and the result is stunning to say the least. The funniest thing is that most of the parts RSD used for this build are prototypes. This means that Roland showed Justyn only some summary sketches and mentioned that the bike would be lighter and will also gain extra grunt... and this was all he needed. 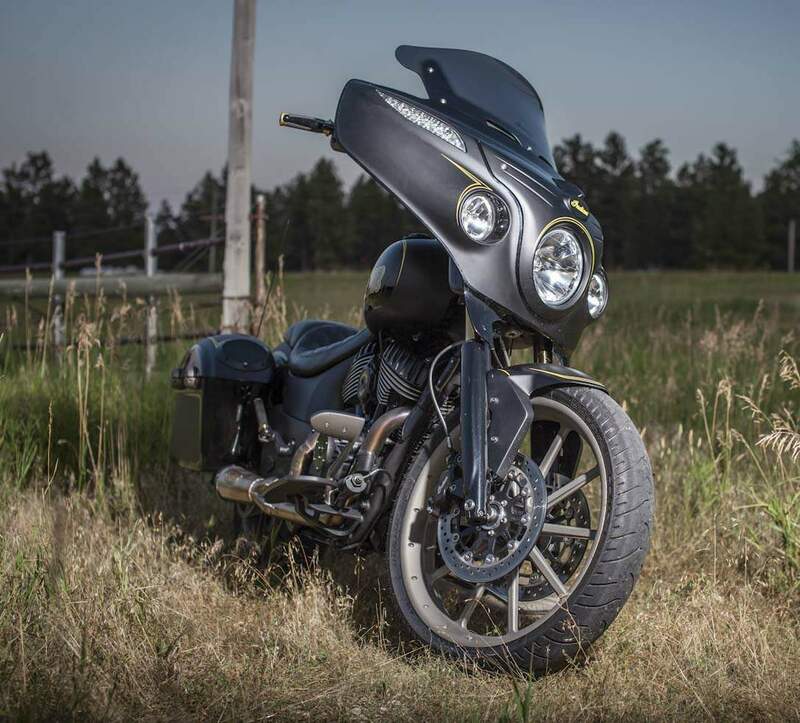 RSD machined the primary and cam covers and equipped them with see-through panels for a killer look, especially as they are now all-black, just like the cylinder head covers. 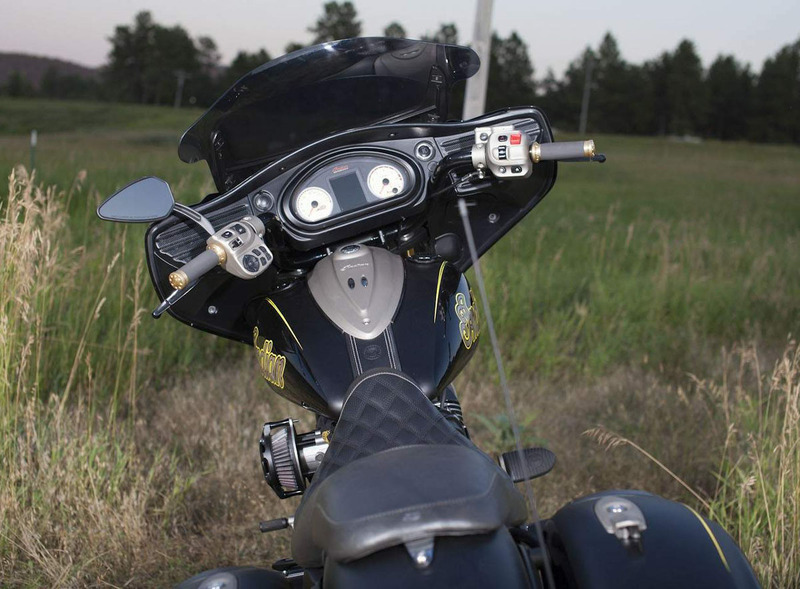 In fact, the entire bike went black, including the frame, engine, forks, bars and wheels. Speaking of the wheels, they are Capone prototypes with Cerakote finish, 21" in the front ans 18" in the rear. The detachable Boss passenger seat is also a prototype unit, just like the numerous brass accents introduce by the grips and passenger pegs. The front fender was sourced from a BMW S1000RR and looks simply stunning, if the huge stock ones are not exactly your thing. 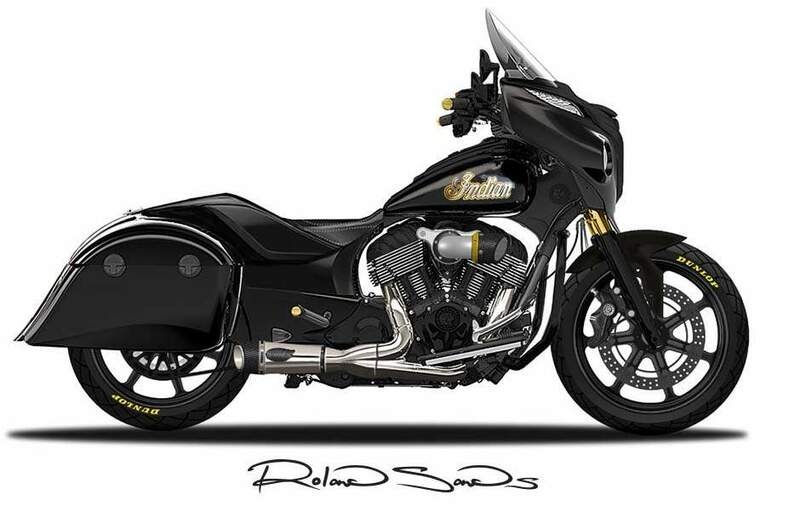 Add the RSD Slant works finish exhaust and that aggressive breather and be ready to rock and roll.